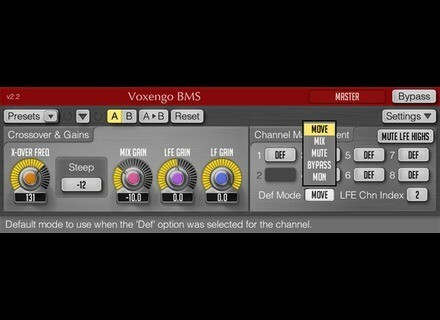 BMS, Stereo treatment software from Voxengo. Voxengo announce the release of BMS version 2.0 bass management system plugin for professional surround sound applications, available in AudioUnit and VST plugin formats, for Mac OS X (v.10.4.11 and later) and Windows (32-bit and 64-bit)computers. BMS is designed to extract and manipulate low-frequency content of non-LFE channels in up to 7.1 surround configurations. time, it is possible to mix extracted low-frequency content to the LFE (“Low Frequency Effects”) channel. An option to remove the extracted signal from non-LFE channels is also available. Voxengo BMS end-user license is available for purchase on-line for USD 49.95 (note that if you order in August, 2011 you will receive 10% discount). Upgrading from the previous version costs USD 19.95 if the previous version was purchased earlier than 90 days from now; otherwise the upgrade is free during this grace period. Cakewalk Music Creator 6 Cakewalk announced Music Creator 6, the newest version of its music-making software. NI Solid Mix Series & Transient Master Native Instruments announced two new products that expand its range of Guitar Rig-based studio effects: The new Solid Mix Series which emulates EQ and dynamics sections, and Transient Master, which recreates a hardware processor that provides transient processing.